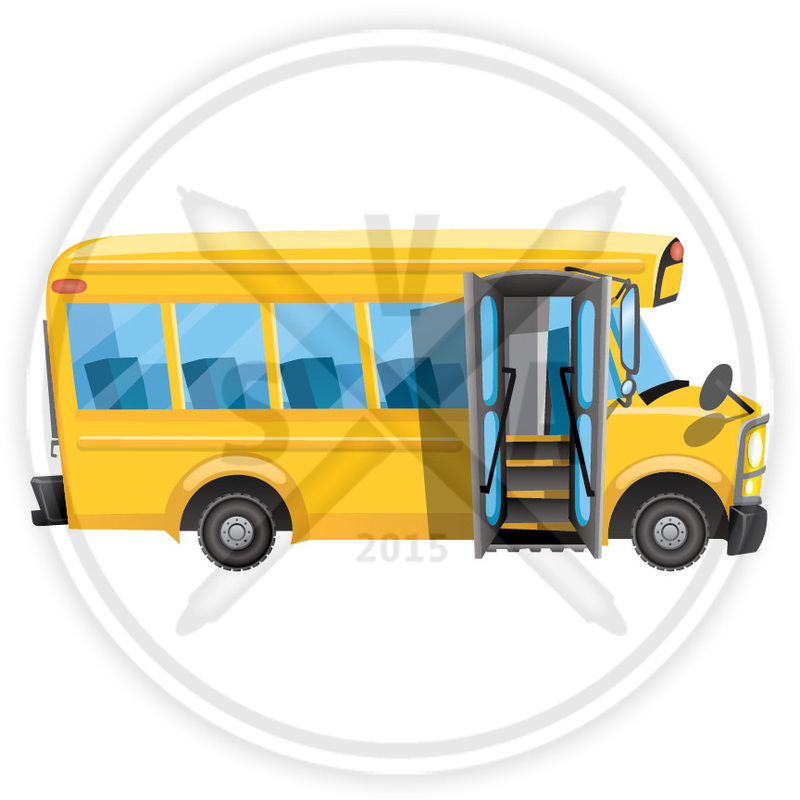 Stock EPS graphics of a cartoon school bus with an open door. Uses: Good for newsletters and publications with children as an audience. Also good for signs and packaging that may be around schools and teachers.